HF 516, the Voter Integrity bill, passed in the Iowa House on Thursday. The bill includes election reforms such as requiring an ID to vote, moving the absentee ballot deadline up, uniformity in when absentee ballots are available to voters, eliminating straight party voting, and a mandatory post-election audit. 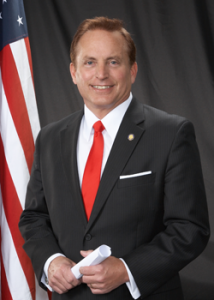 HF 516 was sponsored by Representative Ken Rizer (R, Marion) and was referred to the House floor following debate in the House State Government committee and a public hearing on Monday. In his opening remarks, Representative Rizer took pride in Iowa’s election process. Throughout the debate, Democrat Representatives accused Republicans of being racist in spite of a law passed in 2007 when Democrats held a trifecta majority that would require a photo ID for Election Day voter registration. “To call those who disagree with you “racist” is in itself racist. Comparing this bill to Jim Crow laws is inaccurate. This is not a poll tax. Voters can still receive free government-issued identification,” said Representative Rizer in closing remarks. HF 516 was passed by a vote of 59-50, with 1 Absent.